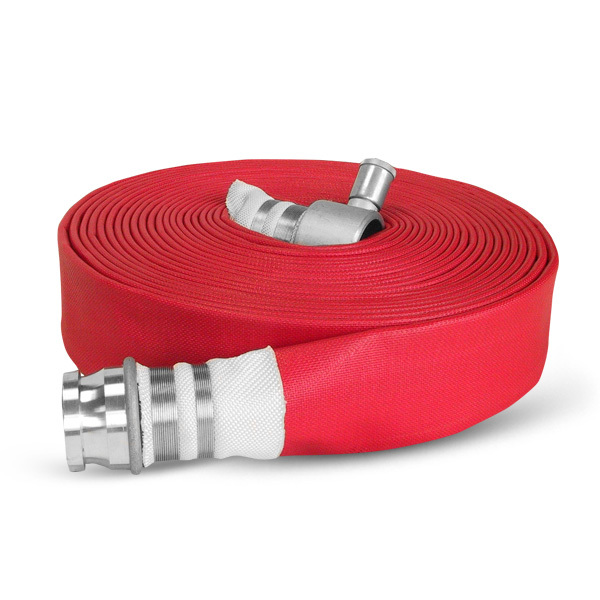 Our Elite layflat type 2 fire hose is a general purpose all synthetic layflat delivery hose complying with BS 6391 Type 2 international standards. The hose is a two-component system consisting of a black SBR synthetic rubber inner lining and a synthetic polyester outer jacket, bonded together with NBR-synthetic adhesive. The hose is finally colour coated in a variety of colour options.